Would you like to translate your website into a foreign language? English-only websites are internationally recognised but there will always be some website visitors, i.e. potential customers that do not speak English or are not familiar enough with the language to complete a sale or to make an enquiry. That’s why it is so important to ensure you do not miss any opportunities and get your website translated so all markets are covered. Would you like to get your website ranked in international search engines? Has your website been translated into a foreign language but your site is nowhere to be found in Google.fr for example? We can help you to optimise your website to ensure your site gets found in the correct search engines when you type in a particular term. 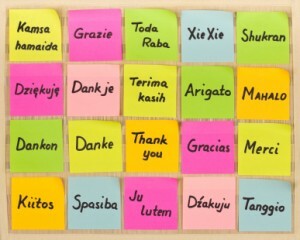 Would you like to set up a multilingual Google Adwords campaign? If you own an ecommerce website you could sell products all over the world, therefore if you set up an international PPC campaign, you can cover a large range of countries and languages and make sure your product(s) gets found all over the world.